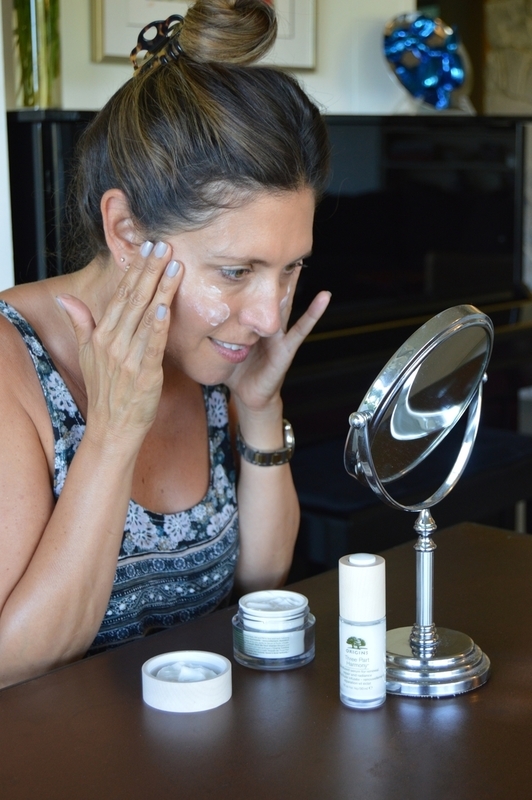 Renew, Repair and Restore Radiance with Origins Three Part Harmony Collection! A youthful appearance can be obtained as we age if you go the extra mile! 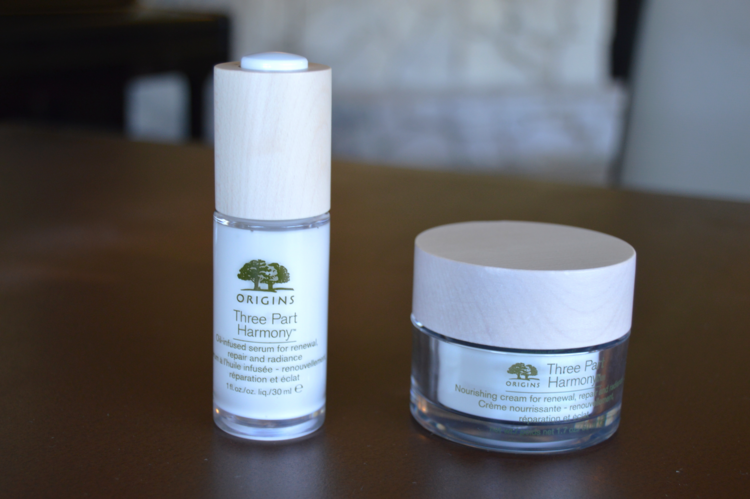 I am thrilled that Origins recently launched two amazing new products for women over 45 called Three Part Harmony! Included in this collection is an ultra nourishing face cream and an oil-infused serum specifically formulated for women who want to renew, repair and restore radiance. The products offer deep moisture and nutrients necessary for glowing and beautiful skin. These formulas are made with Tazetta Lily Bulbs and Myrtle that help renew natural collagen for ongoing repair and radiance. Start by applying the Three Part Harmony oil-infused serum all over your face after cleansing. This serum softens fine lines, evens skin tone and promotes collagen production which repairs skin structure and gives a youthful and healthy glow. Next, massage in the Three Part Harmony nourishing cream. I love the way my skin instantly feels super moist and supple after its application. This cream also evens the skin tone, repairs the skins structure and renews hydration levels. Three Part Harmony products by Origins will help you to achieve more youthful-looking skin and renew, repair and restore it's radiance. 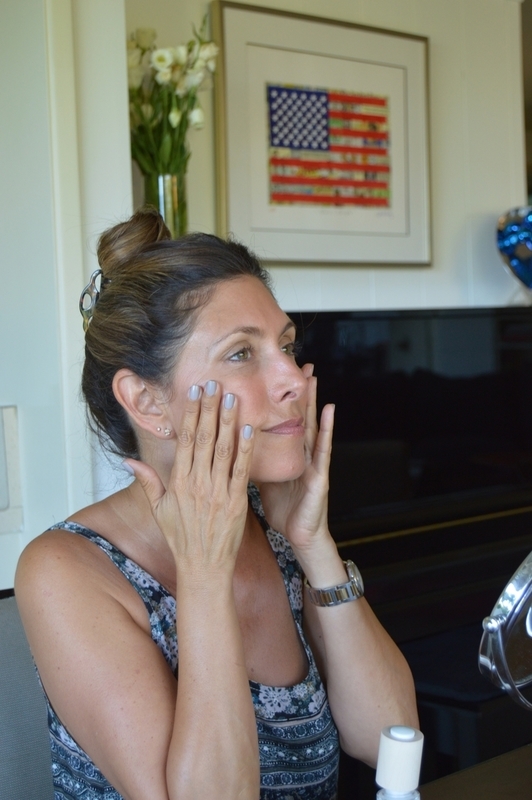 I noticed a difference after using the product for one week, especially the softening of my fine lines and wrinkles! Tip: Our neck is one of the areas that is first to show our age so don't forget to apply the products there for the added collagen boost and skin repair! This is a sponsored conversation written by me on behalf of Origins. The opinions and text are all mine.